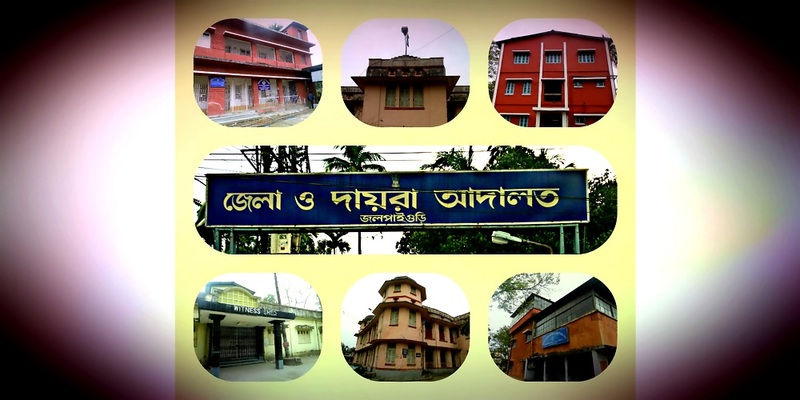 The name of the city Jalpaiguri actually comes from the Bhutanese term je-le-pe-gu-ri meaning a place where warm clothes are traded, suggesting a trading center. Another suggestion is that it is from the word Jalpai meaning olive, and Guri meaning place.Jalpaiguri is located at 26.52°N 88.73°E.5 It has an average elevation of 75metres (246feet). Jalpaiguri lies in the middle of the vast fertile plains (Terai) south of the Himalayas watered by innumerable rivers and rivulets rising from and flowing down the Himalayas. On a clear sunny day, Mount Kanchenjunga is visible from the town itself. The town lies on the banks of the Teesta River, possibly the second largest river in West Bengal after the Ganges. A mass flood in 1968 nearly flattened out the town and huge spurs had to be built and the river diverted to some kilometers outside the town to avoid the same carnage as it caused. Other than Teesta, there are three other rivers passing by the town: Karala, Dharala and Panga. The tiny River Karala flows through the middle of the town bisecting the town into two halves, thus prompting the remark, 'the Thames of Jalpaiguri'. Karala meets the Teesta some five kilometres south of the town. Places of interest 1.Royal Palace of Baiknthapur 2. Several lakes in Rajbari Palace 3. Raipur Tea Estate,Rangdhamali,Jalpaiguri.4. Jalpaiguri Nawab Bari. 5. Jubilee Park, 6. King Shaheber Ghat 7. The River Teesta. 8.Teesta Udyan, 9. 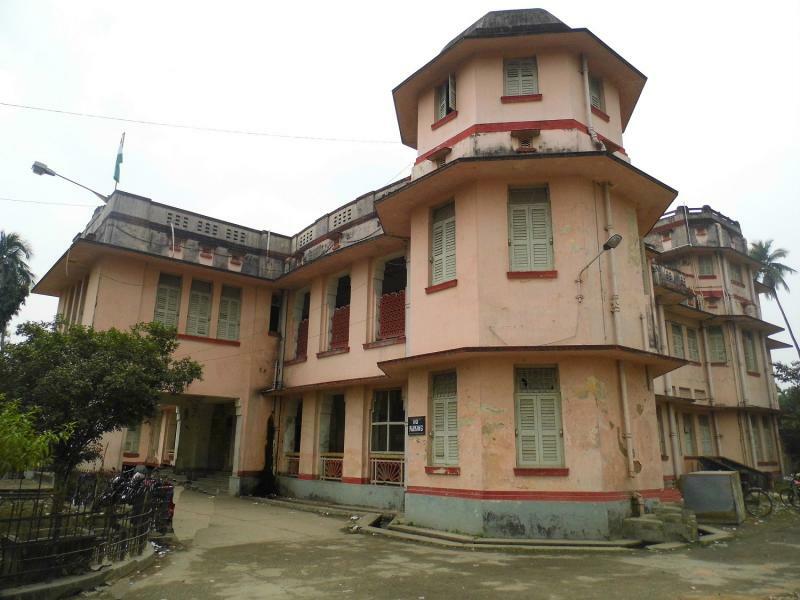 Sarojendra Deb Raikat Kala Kendra, an Art Gallery 10. Town Club Stadium' 11. Jogomaya Kalibari,12.Devi Bhramari Temple near the village of Boda 13.Tea garden, Denguajhar T.G.) 14.Devi Chaudhurani Mandir- It is believed that Devi Chaudhurani the bandit queen from the novel of Bankim Chandra Chatterjee, has her Kali Temple 15. Jalpesh Temple An old Shiva temple 16.Jatileshar Temple- Another ancient temple dedicated to Lord Shiva, 17.Jaldapara National Park, 18. Gorumara National Park, a wildlife national park located north towards the northern part of Jalpaiguri district.